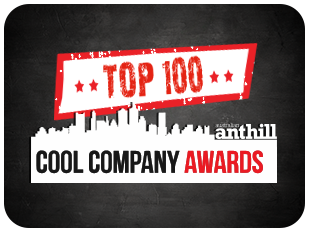 Earlier this month Australian Anthill Magazine announced the winners of their annual Cool Company Awards. Whilst insurance brokerages may not typically be thought of as being ‘cool’, one such firm managed to make the cut. That firm was Brisbane-based Trade Risk, who provide both general insurance and life insurance services to the building and construction industry. What makes Trade Risk a cool company? Probably the fact that they are doing things a little differently to most other firms. They have a strong focus on online marketing, and this has allowed them to build a great little business in far less time than traditional firms. Whilst Trade Risk were the only insurance brokerage to make the top 100, there were a few other insurance and finance related businesses. One thing that all of the companies listed above have in common is their major focus on technology. It would be great to see other insurance brokerages and financial planning firms make the list next year. To see a full list of the 100 coolest companies in Australia follow this link.